I obtained this system from a teacher at my mum's work who had been given the system as it was being thrown out for word processing. Thus the 20mb hard drive contains a word processing program and a catalogue program (it was in a library). What really impressed me (apart from the fact that it's the only IBM system that i have seen that was actually assembled in the now closed Wangaratta plant) was the way that all the components (with one exception) just slotted together and were securely held in place by a varity of clips and tabs. In fact the only tool required to dis-assemble the entire system as shown in the photos came attached to the inside of the case (it can be seen at the lower left through the grille in the picture above. 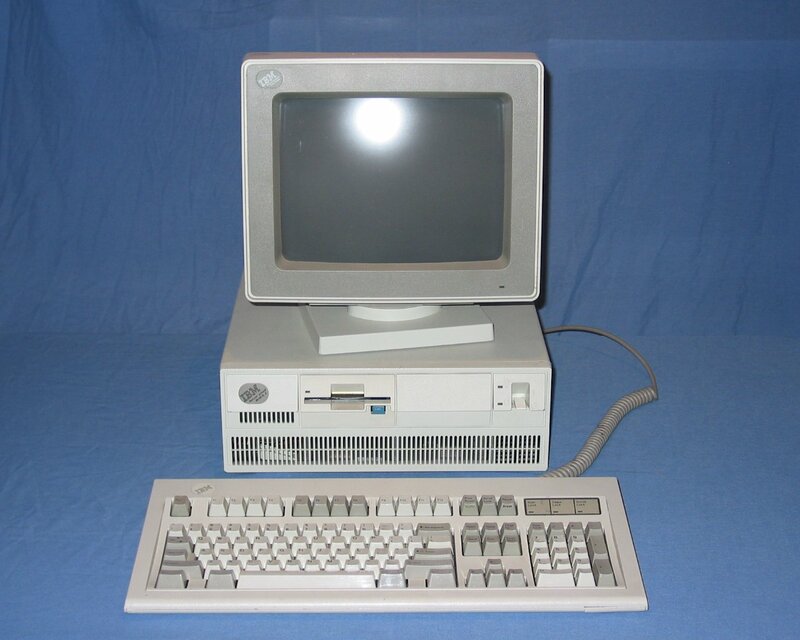 A complete IBM PS/2 50z system complete with IBM monitor and a Model M keyboard. 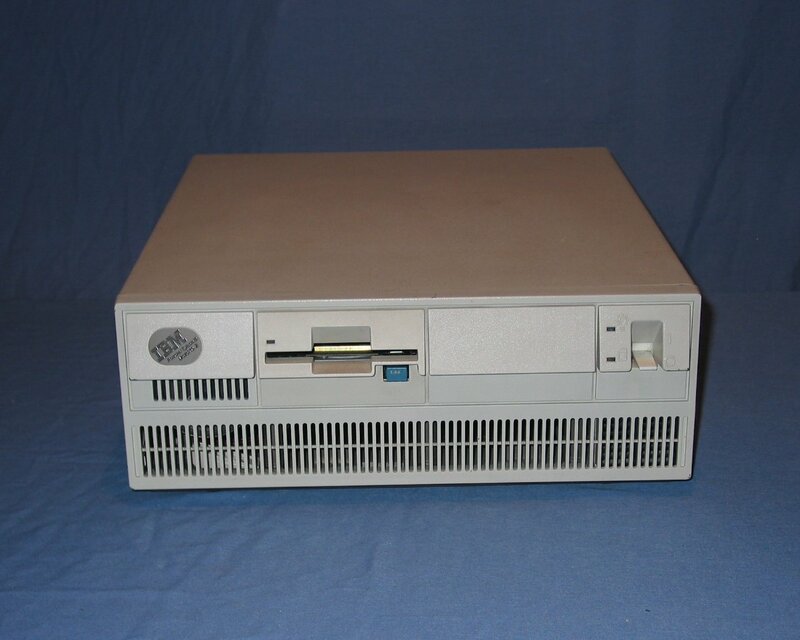 The front of the system unit is pretty straightforward with two 3.5" floppy drive bays (only one populated with an actual drive) and the traditionally shaped IBM power switch (unfortunately it is white not red). Through the grille on the left side the tool to undo the clips that hold it all together can be seen attached to the floor of the case. 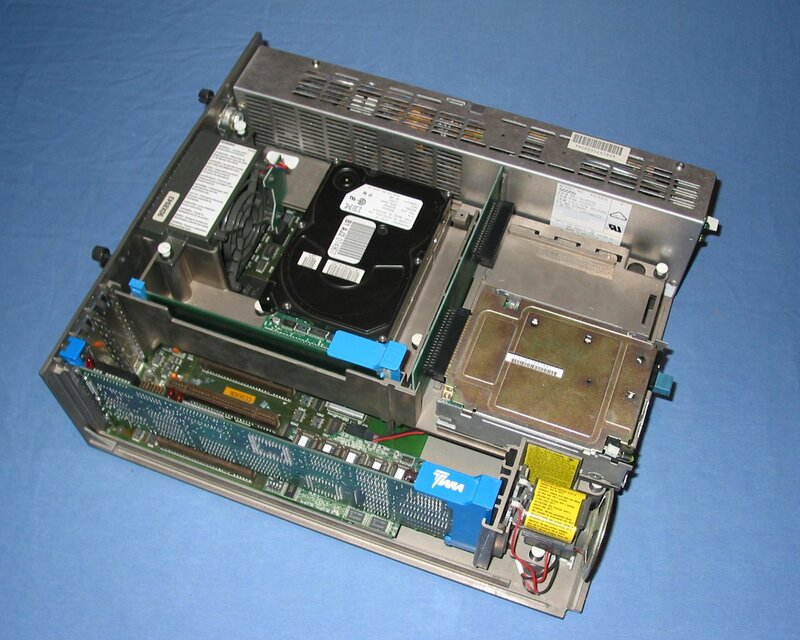 Rear panel of the system with power, keyboard, mouse, serial, parallel and video connectors across the base. The slots for the MCA cards are on the right hand side with an ethernet card in the outermost slot. With the cover removed the lack of internal cabling is evident except for the the internal speaker and battery at the bottom of the photo. A Hyperace-SX CPU upgrade. 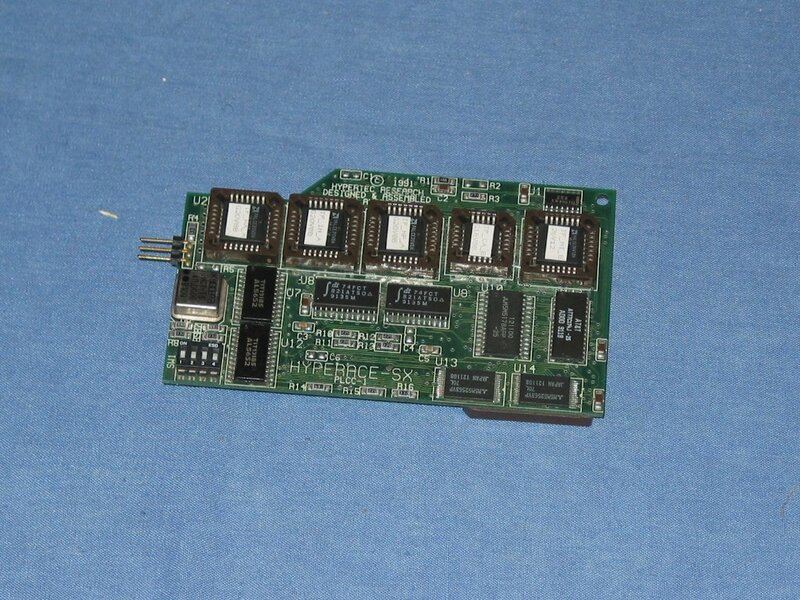 This board connected to the socket on the main board for the 286 CPU and and provides a 386 CPU. The underside of the Hyperace-SX. 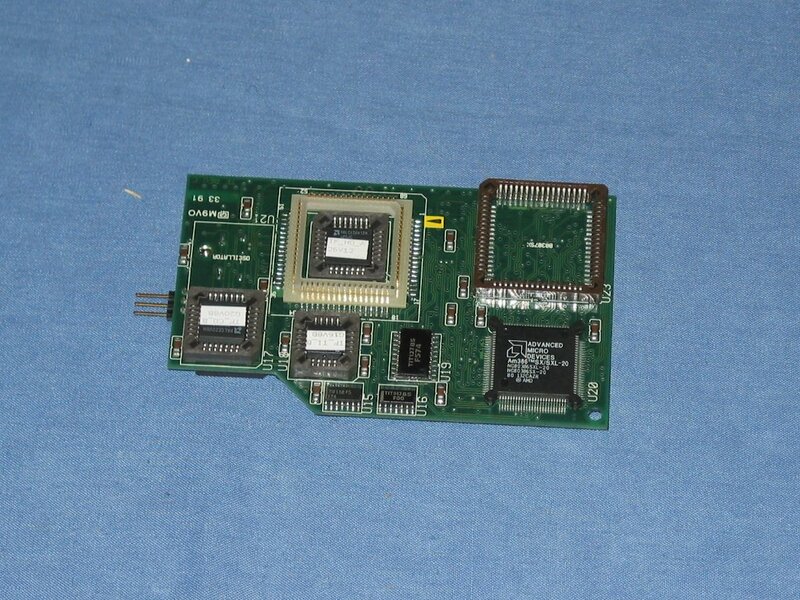 At the bottom right is the 386 SX CPU with a sockets for a math co-processor above it (not populated). Left of that is the white connector that fits into the CPU socket on the logic board. The rear cooling fan. 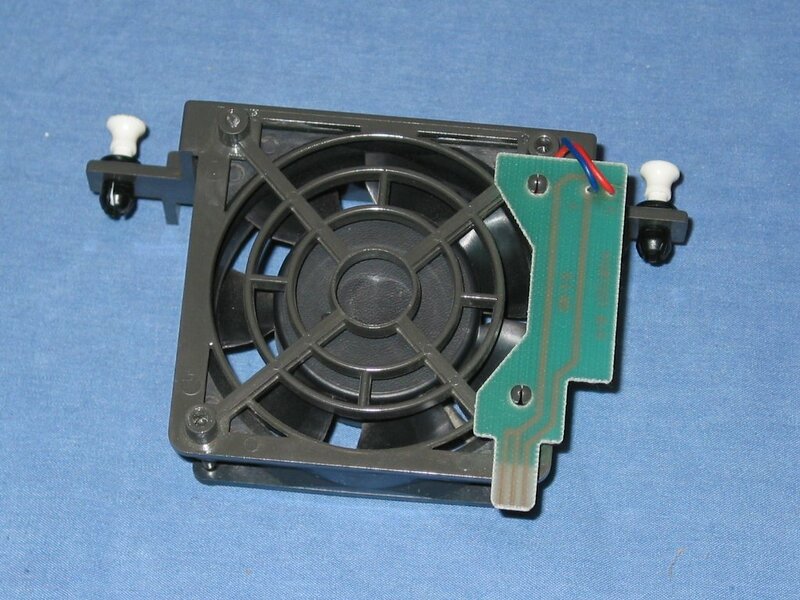 This is a standard 80mm fan attached to a bracket. 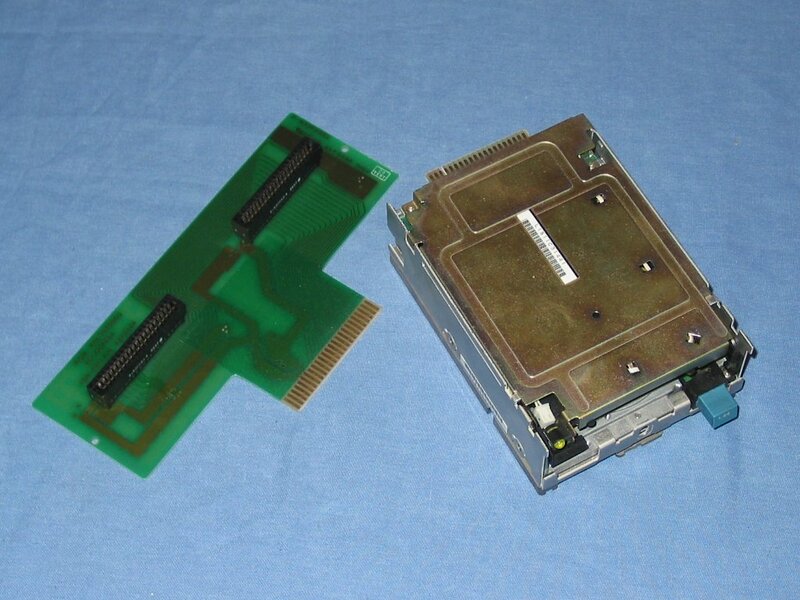 A single 3.5" floppy drive and the riser that connects the drives to the main logic board. 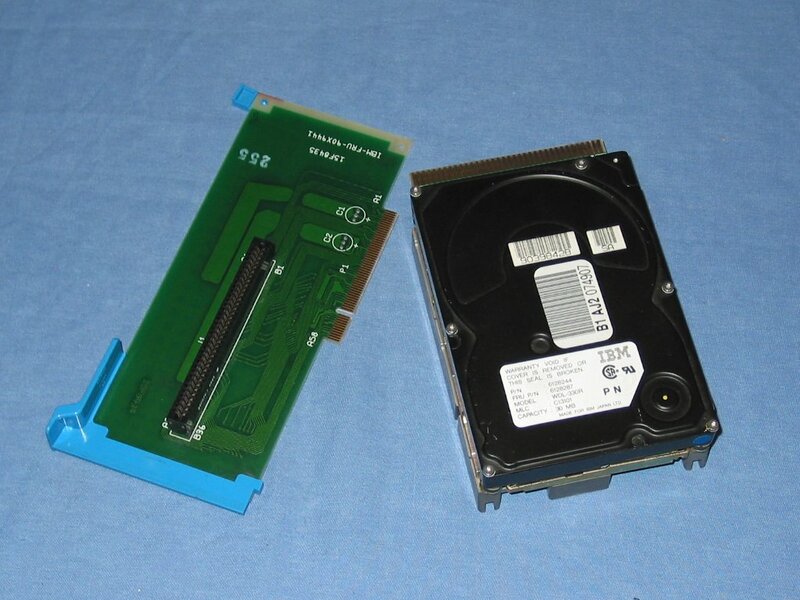 The internal hard drive with the riser that connects it to the logic board. 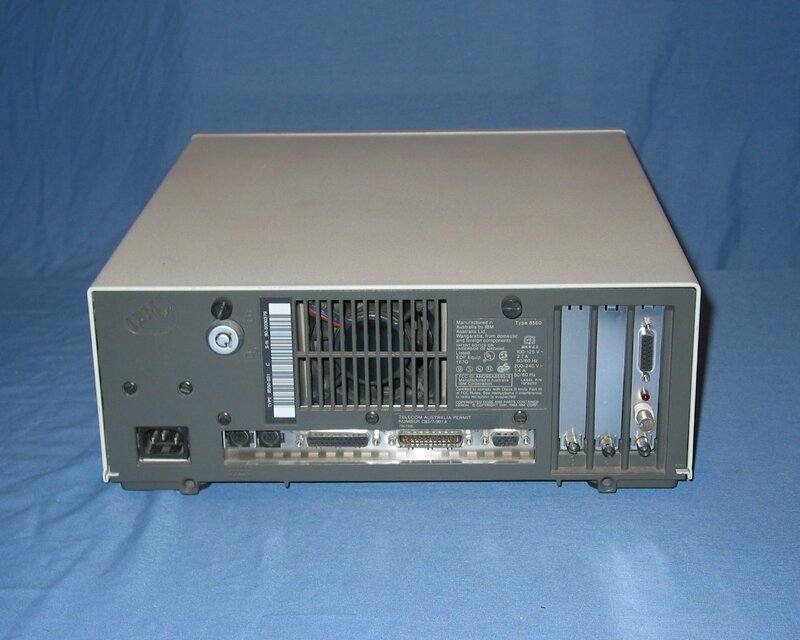 "The model 50 was among the first four PS/2 machines IBM announced in 1987, and it is the only 286 desktop Microchannel machine that was ever made by IBM"